So the last few weeks have been frustrating and annoying since I apparently have to figure out what it is I really want to be when I am a grown up, and that is shockingly hard. I have buried a lot of that thinking by cooking a ton and exploring lots of new flavors, however I have been having too much fun to remember to always take pictures, so this week I am going to give you all the greatest hits of what you should make (and then tell me about) with the end of summer bounty. Cherries are only around for a few more weeks, depending on where in the country you are. My favorite way to eat them is while sitting in a park and spitting out pits. However, if you want to be more fancy you could always use this delicious pie recipe from Smitten Kitchen. 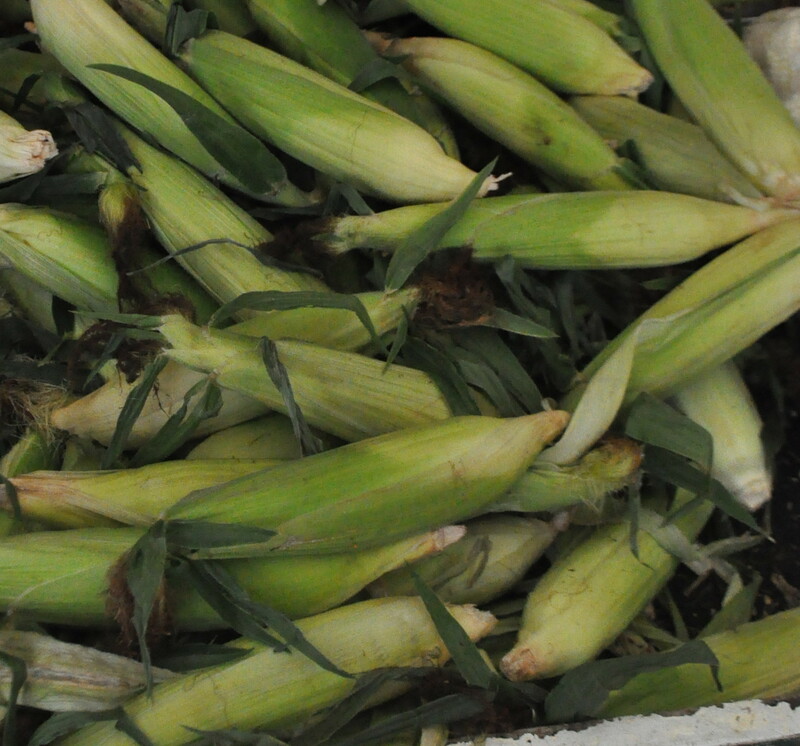 Summer corn is at its sweetest, and cheapest, right now at the market. 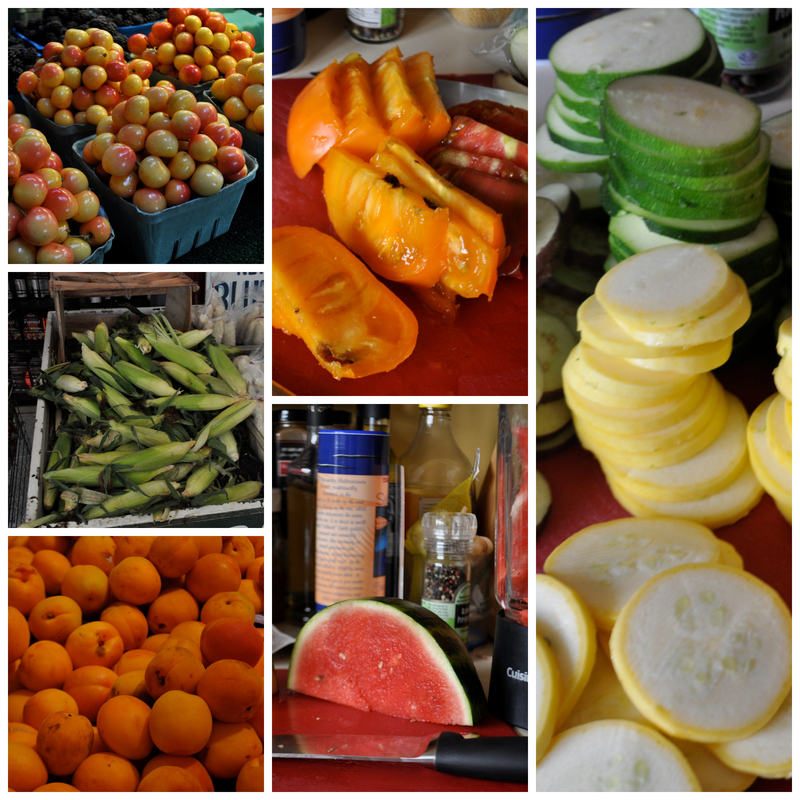 While you can go simple and grill it and then spray with a little olive oil, you can also make a delicious succotash with it. Now I always thought succotash sounded disgusting until I came across Amanda Hesser’s recipe in her book Cooking for Mr. Latte. She combines green beans, corn, and goat cheese for a delicious side dish that is similar to this one. Apricots are delicious when grilled and tossed with some honeyed mascarpone, like this recipe from everyone’s favorite Ina Garten. With the glut of heirloom tomatoes out there I recommending making ALL THE THINGS with them, including fresh tomato sauce in fun colors, oven roasting them, eating them like an apple (which is the hubs preferred method), and a delicious panzanella salad. With watermelon you can make the delicious watermelon and mint agua fresca, and then with the pulp you strain out you can make a granita like this one from Pioneer Woman. Zucchini and summer squash can be sliced in big bunches with a mandolin and stored in the fridge until you’re ready to use them. Last week I made a ratatouille, sauteed a handful with curry powder, salt, and olive oil as a side dish, and snacked on them raw while making other meals.